Oil and acne-prone skin can never go hand in hand, right? WRONG! You cannot even imagine how certain oils can do wonder for your skin and yes, it is equally for girls with oily, sensitive skin with lots of acne and blemishes. Avocado oil is one such ‘liquid bliss’ that can make our face smooth, even-toned and radiant while providing it with a light-yet-needed dose of moisture and fighting against all sorts of breakouts. In this post, we are going to focus on why and how to use avocado oil for acne. Let’s start. 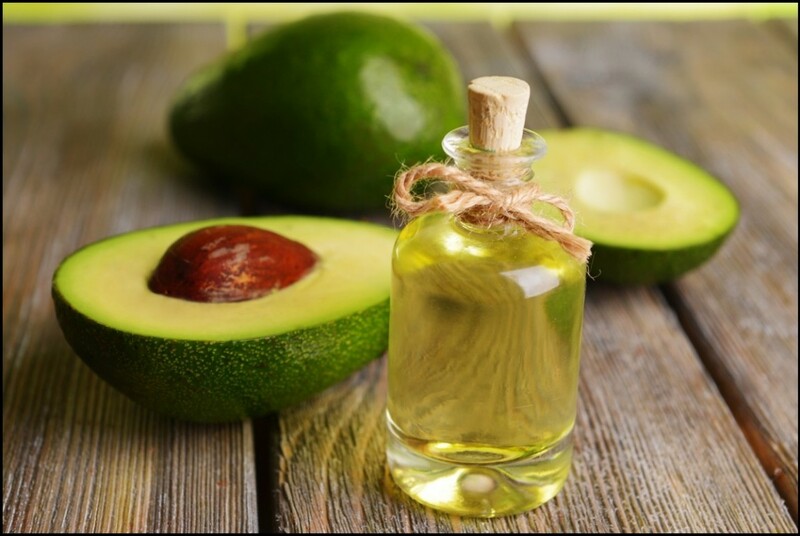 Avocado oil is a greenish yellow-colored oil extracted from the fruits of the avocado trees, which are mostly found in certain parts of Mexico and Central America. It is usually available in two forms – organic oil (naturally processed) and inorganic oil (chemically extracted). Organic avocado oil (especially the cold pressed one) is obtained from the very first press of the fruit and is considered to be super healthy due to zero cholesterol and low saturated fat content. It has a fresh fruity aroma and a nutty taste with extremely high nutritional value. It is also used in a number of beauty and cosmetic products as an active ingredient. 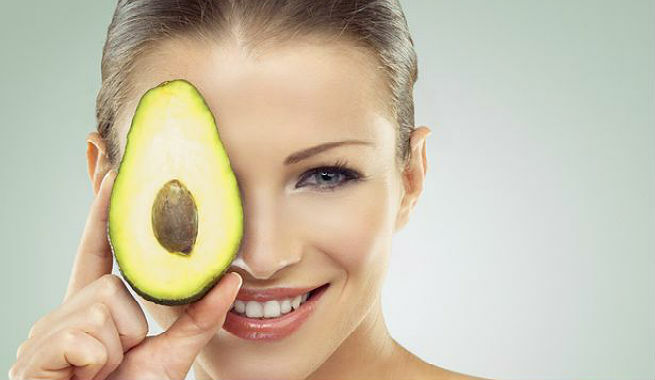 Why Use Avocado Oil For Acne? Being a rich source of skin-friendly nutrients and vitamins, avocado oil suits all types of skin including the oily, acne-prone ones. It contains vitamin E that keeps skin naturally healthy by maintaining lubrication and preventing breakouts. The high fiber content of avocado oil is effective in stabilizing our blood sugar levels, which maintains hormonal balance in our body, thereby averting breakouts. It is loaded with antioxidant vitamins (A, B vitamins i.e. riboflavin, thiamine, biotin, niacin, pantothenic acid, C, K, etc.) that counteract free radical damages and keep acne-causing bacteria away. The oil is rich in healthy fatty acids like omega-6 fatty acids that regulate the hydration of our skin and reduce inflammation significantly. How Does Avocado Oil Work For Acne? Our diet plays a key role in contributing to acne issues and hence, proper nutrition is necessary to keep our skin healthy from inside. According to scientists, polyunsaturated fats can increase the inflammation of sebaceous glands in our skin, thereby disturbing its natural oil balance and causing acne outbreaks. Being low in unhealthy polyunsaturated fats and enriched with healthy monounsaturated fats, avocado oil can directly reduce the chances of developing acne. Hence, if you replace your cooking oil with the much healthier avocado oil, it will avert acne from occurring in the first place. The topical application of avocado oil is great for restoring the moisture balance of the skin while it actually puts a stop to the inflammation of the sebaceous glands that secret pore-clogging sebum. 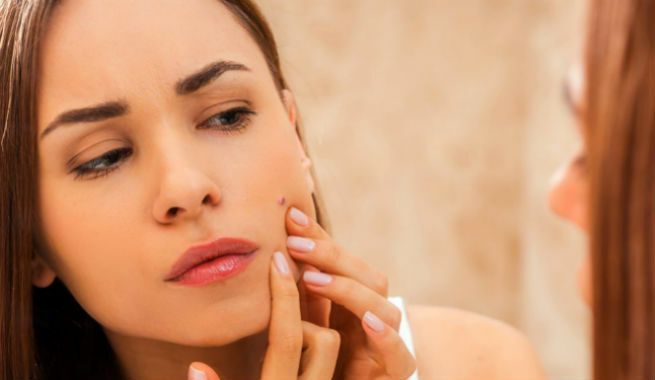 As the pores remain unclogged, the chances of developing acne also reduce to a great extent. Therefore, it should be used as a night-time moisturizer all over the skin without any worry. For a more effective and focused acne cure, avocado oil should be used as a spot treatment. When the organic cold-pressed avocado oil is directly applied to the troubled areas of the skin, the results become faster and easier. You can opt for the oil cleansing method in which you need to cleanse your face with a mixture of 1 tablespoon castor oil and 1 teaspoon avocado oil. A blend of avocado oil and tea tree oil is also quite beneficial for acne spot treatment. Clean and wash your face with a mild facial cleanser. Pat it dry. 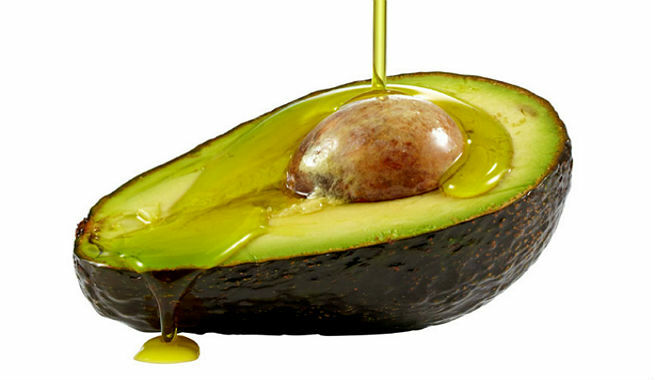 Take a few drops of avocado oil onto your palm and apply it all over your face. Massage gently by using your fingertips in a small circular motion or upward strokes. Let it sit for half an hour. Now, take a wet washcloth and wipe off the oil carefully. Finally, wash off the oil residue by using tepid water. Practice the procedure twice to thrice every day. It is always advisable that you do a patch test before starting avocado oil acne treatment. It would help you stay away from any allergic reaction.